Tashkent prettiest city in . Another city that is gradually starting to be popular for tourists. The city attracts by its simplicity and tranquility. Local cuisine arouse the appetite of any, even very whimsical guests. You can take part to preparing “Plov” – the most popular Uzbek dish. When you are visiting Tashkent, you must visit the bazaar, it’s take a big part in the center of the city as the locals call it “Chorsu” . Going there you will feel the fulgurating smell of herbs and spices . After the earthquake, the city was divided into two parts, the old Tashkent , all those houses, monuments , which were after him and the new city , modern buildings, streets, it helps to compare the old and the new life of Tashkent. In order to convenient move around the city, we suggest you to rent a car . Since the city is just beginning to become like tourist, choice of rental cars is not very extensive . Car rental in Tashkent “Naniko “- is one of the largest company in this area.  It offers an various cars and accessories. In this case, you can get a car and bring them to the airport. The car will make your journey doubly enjoyable.